Includes Video Discussion Guide / Six Sessions Join historian John Dickson on this journey through the life of Jesus. 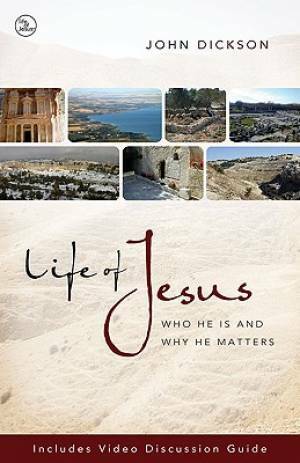 This book, which features a self-contained discussion guide and is designed for use with the Life of Jesus DVD, will help you and your group dig deeper into what is known about Jesus' life and why it matters. Life of Jesus by John Dickson was published by Zondervan in August 2010 and is our 25584th best seller. The ISBN for Life of Jesus is 9780310328674. Be the first to review Life of Jesus! Got a question? No problem! Just click here to ask us about Life of Jesus.